“If we saw more pressure from Congress, I think Koskinen would be gone,” @JordanSekulow says. Koskinen’s five-year term ends in November, unless he is removed. Though Koskinen wasn’t in office when the IRS targeted tea party and conservative groups, House Republicans said he was repeatedly uncooperative and misled congressional investigators. Koskinen has said he acted in good faith to cooperate with the investigation. Earlier this month, the IRS informed the U.S. District Court for the District of Columbia it located “an additional 6,924 documents of potentially responsive records” relating to a Freedom of Information Act lawsuit by Judicial Watch, a conservative watchdog group. [Y]ears after IRS Commissioner Koskinen claimed all the Lois Lerner backup emails during the relevant time period were erased, we now learn that there are almost 7,000 undisclosed documents potentially related to the IRS targeting … We call on IRS Commissioner John Koskinen, a Democratic Party major donor, to finally be held accountable for his role in covering up the targeting of conservatives for their political views. 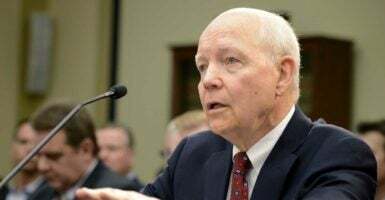 Commissioner Koskinen and the IRS may have been protected by the Obama White House, but now under President Trump we are confident the time for holding them accountable is finally here. Sekulow said Koskinen missed the opportunity to change the agency, and instead sided with the entrenched bureaucracy. The Judicial Watch lawsuit filed in 2015 sought records about IRS selection of individuals and organizations for audits based on applications for nonprofit tax-exempt status. The IRS won’t specify a timeframe for producing the documents, according to Judicial Watch. The Daily Signal asked the White House earlier this month and on Thursday about Koskinen’s future with the agency. In both cases, White House spokesmen deferred to the Treasury Department. Neither the Treasury Department nor the IRS responded to inquiries from The Daily Signal. Congressional investigations, hearings, and actions have shown that Commissioner Koskinen misled Congress, obstructed investigations into the IRS, and failed to comply with Congressional subpoenas. Commissioner Koskinen’s willful deception and obstructionism has only further eroded any remaining confidence. Pursuant to 26 U.S.C. § 7803, you have the authority to remove Commissioner Koskinen. We encourage you to dismiss him in the most expedient manner practicable. Such an action would restore the credibility of our Federal tax authority and the faith the American people have in their Constitutional rights to free speech and association. Chaffetz’s opinion hasn’t changed that Koskinen should not only be removed from office, but should forfeit his government pension, M.J. Henshaw, spokeswoman for the House Oversight and Government Reform Committee, told The Daily Signal Thursday. “We had hoped Mr. Koskinen would address the problems our report highlights and would urge his successor, if any, to do so,” Cause of Action Institute President John Vecchione told The Daily Signal in a statement. The provision that allows this is Section 7.29.3 of the Internal Revenue Manual, “that singles out applications from any group interested in issues that might garner attention from either the media or Congress. 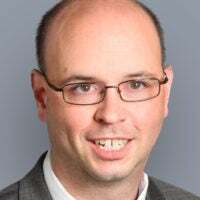 In such cases, the merits of the application are ignored as IRS employees develop ‘Sensitive Case Reports’ for consideration by those above them in the IRS hierarchy,” the report says. Seven years after the targeting scandal began, the rule that enabled this inexcusable behavior still exists. Until that rule is removed from the internal manual used by all IRS employees, targeting of political opponents will remain a very real threat. Fortunately, removing the offending provisions is a simple process that can be started at any time and completed without the need for new legislation or formal notice-and-comment rulemaking.